* "We controlled double-digit inflation. Inflation is a hidden and unfair tax; from 10.1% during 2009-14, inflation in December 2018 was just 2.1%. We have broken the back of back-breaking inflation," Goyal said. * The finance minister laid out vision for 10 most important dimensions in 2030, including job creation, physical and social infrastructure building, pollution-free nation and clean rivers. * Soon after presenting the Budget in Lok Sabha, the finance minister, in a press conference, elaborated on the incentives and initiatives announced by his government — "Those sitting in AC rooms cannot understand the plight of the small farmers. Keeping this in mind, we have introduced Pradhan Mantri Kisan Samman Nidhi scheme. This is a historic decision," he said on the cash incentive scheme launched for the country's farmers. 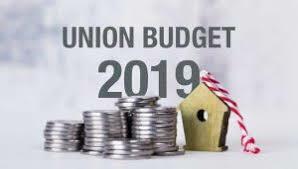 * "This is just a trailer of the Budget, which after elections, will take India on the path to development," Prime Minister Narendra Modi said shortly after finance minister Piyush Goyal presented the Budget in Lok Sabha.